Abstract: The increasing popularity of head-mounted devices and 360-degree video cameras allows content providers to provide virtual reality video streaming over the Internet, using a relevant representation of the immersive content combined with traditional streaming techniques. While this approach allows the user to look around and move in three dimensions, the user’s location is fixed by the camera’s position within the scene. Recently, an increased interest has been shown for free movement within immersive scenes, referred to as six degrees of freedom (6DoF). One way to realize this, is by capturing one or multiple objects through a number of cameras positioned in different angles, creating a point cloud object which consists of the location and RGB color of a significant number of points in the three-dimensional space. While the concept of point clouds has been around for over two decades, it recently received increased attention by MPEG, issuing a call for proposals for point cloud compression. As a result, dynamic point cloud objects can now be compressed to bit rates in the order of 3 to 55 Mb/s, allowing feasible delivery over today’s mobile networks. In this talk, we use MPEG’s dataset to generate different scenes consisting of multiple point cloud objects, and propose a number of rate adaptation heuristics which use information on the user’s position and focus, the available bandwidth and the buffer status to decide upon the most appropriate quality representation of each of the considered objects. Through an extensive evaluation, we discuss the advantages and drawbacks of each solution. We argue that the optimal solution depends on the considered scene and camera path, which opens interesting possibilities for future work. 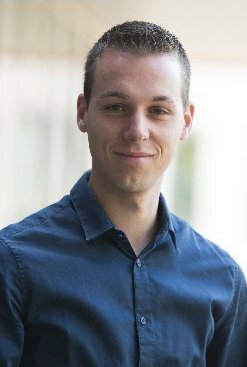 Bio: Jeroen van der Hooft obtained his M.Sc. degree in Computer Science Engineering from Ghent University, Belgium, in July 2014. In August of that year, he joined the Department of Information Technology at the same university, where he is currently active as a Ph.D. student. His main research interests include the end-to-end Quality of Experience optimization in adaptive video streaming, and low-latency delivery of immersive video content. During the first months of 2019, he worked as a visiting researcher in the Institute of Information Technology at the University of Klagenfurt, where he focused on rate adaptation for volumetric media streaming.